is a long term documentary project about 5 different Roma communities all located around Kosice in eastern Slovakia. There are more than 400,000 Roma living in Slovakia – about 7.45% of the entire Slovak population. Roughly one third of them are living in unsatisfactory conditions in segregated and separated ghettos. Some of the achievements of the Decade are open to question and it is hard to say what real improvements the Decade brought for those I worked with during my project. In 2012, I was on assignment in Moldava nad Bodvou, where I was working for the second time with a marginalized and segregated Roma community. After that assignment I decided to continue to document different Roma communities in the area for a longer time with no concrete plan or idea of how long the project would take or where it would take me. I wanted to see for myself what the settlements were really like and also how daily life there would change over the seasons. I visited and revisited five communities between 2013 and 2017 in irregular intervals. Some Roma communities I worked with are completely isolated from the majority population; others are not separated from the majority population by any physical distance whatsoever. Every Roma community I have visited is different from the next and has its own special way of life, its own dynamics and hierarchical structures. I spent time with the people living in each one and listened to their stories, problems, pleasures, and hopes for the future. There were field workers, social workers, priests, and volunteers—both Roma and non-Roma—who took me with them and introduced me to the communities. The project also contemplates the perspectives of those working with the Roma in the settlements and of some mayors of the villages where the settlements are located. Often media reports on Roma-related issues contain half-truths and clichés that reinforce fears and isolate the Roma further instead of contributing to their integration. For many Roma and their families daily life is a constant struggle for survival. Unemployment rates are extremely high, many inhabitants have low levels of education and often the Roma face discrimination because of the color of skin and their different attitudes towards life. “Roma were here in the past, we are here now and we will be here in the future. So we have to find a common language and a way to live together”, says Irma Horvathova, a field worker and founder of the "Slumdog Theater" in the settlement of Moldava nad Bodvou, a Roma herself. The village of Ostrovany, located about 50 km from Kosice, shows the difficulties experienced by the minority and majority population living together in one community. A wall was erected in 2009 to divide private properties from the neighbouring Roma settlement. The Lunik IX housing estate is home to the largest Roma community in Slovakia. It is located a few kilometers away from the historical city centre, on the outskirts of the eastern Slovakian city of Kosice. Since the beginning of the 1980s a large number of the Roma residents living in the city and in nearby settlements have been moved to Lunik IX. Rankovce is a village located about 30 km from Kosice in eastern Slovakia. Rankovce has a Roma mayor who is running in corporation with the “ETP Slovakia” NGO, a project which sets up micro-loan funds to create transformative change in socially-excluded Roma communities. The Roma settlement "Podsadek" has a population of about 1,087 residents (2013 figures). "Podsadek" belongs to the city of Stara Lubovna and is located about 100 km from Kosice in northeast Slovakia. 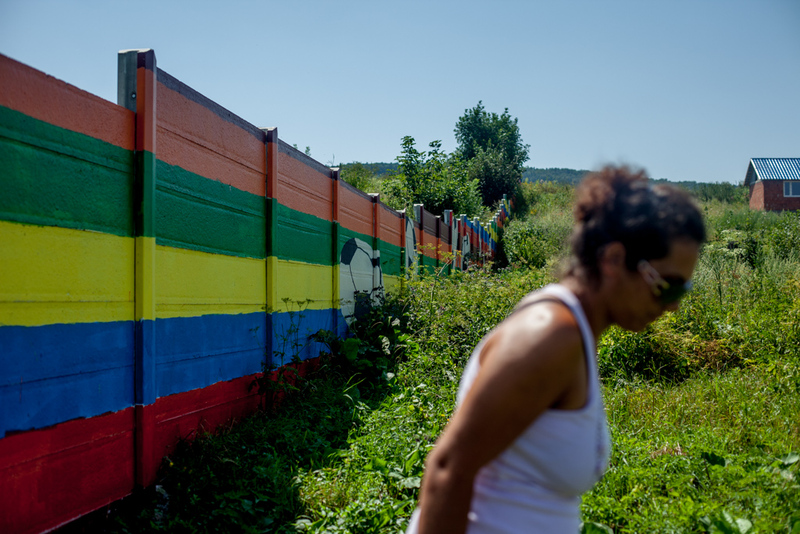 The segregated Roma settlement "Budulovska Street" is on the outskirts of Moldava nad Bodvou, a city 30 km south of Kosice. The settlement is about 2.5 km outside the city and approximately 15% of the inhabitants of Moldava nad Bodvou are Roma. Born in Germany, Björn Steinz, began at an early age to photograph for a local newspaper in his hometown of Oberursel close to Frankfurt am Main. Having worked as a volunteer in a refugee camps during the war in former Yugoslavia and travelling for several months in Latin America, he decided to study photography, earning Bachelor and Master of Arts Degrees at the Department of Photography at the Prague Academy of Performing Arts (FAMU). After several years freelancing and teaching in Germany and the Czech Republic, he spent two years as Assistant Professor at Keimyung University in Daegu, South Korea. Since his return, he has been based in Prague in Czech Republic, now his home. His interest in photography primarily focuses on documentary photography, photojournalism and portraiture. His work has been published by Du, Die Zeit, The Financial Times, Geo Special, The Independent, Der Spiegel, Newsweek, The Open Society Foundations, National Geographic and by other clients. Björn is working on several long-term photography projects, the majority of which are within a social context and often connected to Roma communities all over Europe. He has been teaching Documentary Photography at the Anglo-American University in Prague since 2012. 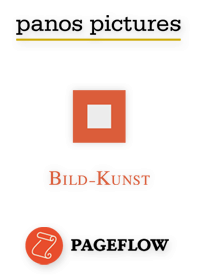 ​Björn is represented by Panos Pictures in London.